Bill earned 5 varsity letters in football and wrestling. 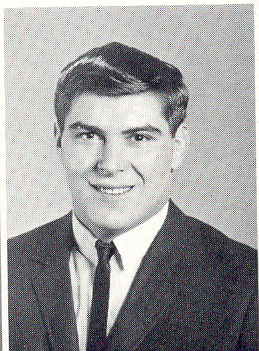 He was named All Conference honorable mention in football in 1967 and 68. In wrestling, he placed 4th at district in 1967, district wrestling champion in 1968 and 2nd in Oregon State Meet, district champion again in 1969 and state champion in 1969. He was 2nd in Oregon State freestyle and state champion in Greco Roman. Bill attended University of Washington from 1969-73 and was a 4 year letterman. In 1971 he was PAC 8 champion, Western Regional Champion. and ranked #4 wrestler in the NCAA. Bill works in Seattle for the Iron Worker local #86 and has become a premier motorcyclist having won the National Championships in both the Off Road Series and Enduro Series.